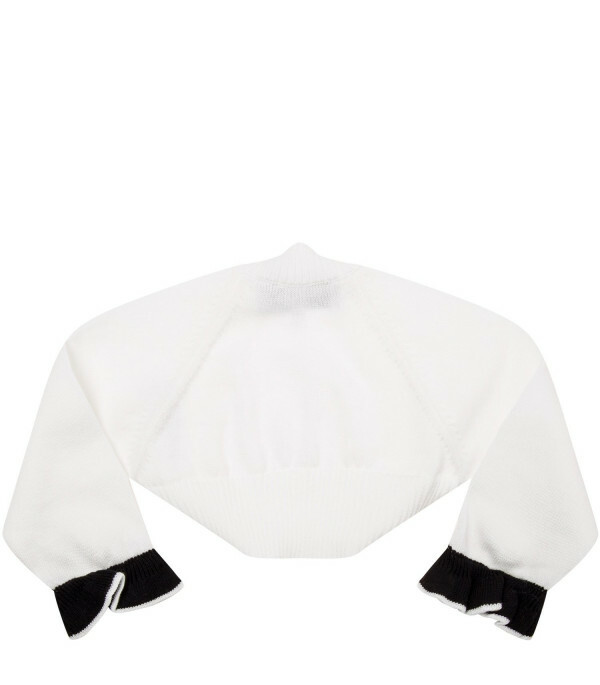 Color: White - Description: White shrug made from cotton, with ribbed trimming and cuffs with frill in a contrasting black. - Details: 100% Cotton. Machine wash at 30°C. Description: White shrug made from cotton, with ribbed trimming and cuffs with frill in a contrasting black.